The maker of the famous Aakash tablet, Datawind has now launched two new tablets in the Indian market. The first of the two is the Ubislate 7+ a tablet device which is priced at 2,999 INR and the second one is the Ubislate 7C a device which is officially priced at 3,999 INR. Both the devices are dubbed as successors to the former commercial variant of the Aakash tablet and these have slightly improved specifications. 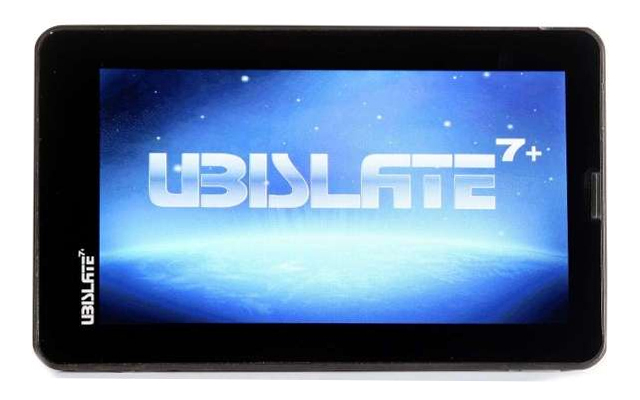 The Ubislate 7+ has a 7-inch resistive touchscreen display and it is powered by an 800 MHz Cotex A8 processor. It also includes 256MB of RAM, runs Android 2.3 Gingerbread, GPRS and WiFi connectivity. The device includes a 3200 mAh battery. The Ubislate 7c has similar specifications to that of the Ubislate 7+ the only difference is that this tablet from Datawind includes a 7-inh capacitive display and has 4GB of built-in storage compared to the 2GB built-in storage on the former. Aircel users can avail special offers on Ubislate tablets, as the operator will provide 2GB of data for 100 INR for a month, probably for the first three months. Datawind has also pulled Yahoo! India on-board as a content partner for these tablets.